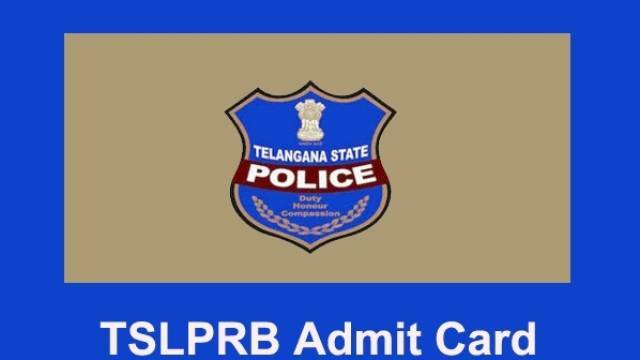 Telangana State Level Police Recruitment Board (TSLPRB) has issued the admit card for the final written exam for TSLPRB SCT SI (Civil) Recruitment 2019. The TSLPRB SCT SI (Civil) final written exam is going to held from April 20 to April 27, 2019. Those candidates who have successfully qualified for the TSLPRB SCT SI (Civil) Final written Exam can now download the hall ticket through the online activated link. The examination for TSLPRB SCT SI (Civil) Recruitment 2019 will be held from April 20 to April 27, 2019, in two shifts. Aspirants should follow the instructions which are given below to download the TSLPRB SCT SI (Civil) final written exam 2019. On the home page, visit the admit card section. Now, click on "TSLPRB SCT SI (Civil) final written exam" admit card link. Click on Submit Tab and the admit card for TSLPRB SCT SI (Civil) final written exam 2019 will display on the screen. Download the admit card and take a printout for future use. NOTE: Candidates should download the admit card from the official website of the Board and fix passport size photograph. The admit card should be printed on both sides. "Hall Ticket without the passport photograph affixed as described above will not be accepted on the days of Final Written Examination and Admission to Examination shall be denied to such Candidates who come to the Examination Centres without proper Hall Tickets," said the Board. Those candidates who have applied for TSLPRB SCT SI (Civil) final written exam 2019 can now download the admit card on the official website and after downloading your admit card, take a printout at the time of your exam.